Sometimes people ask if I’m a poet. 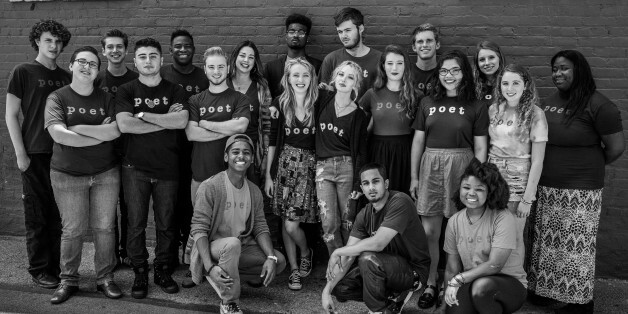 As the founder of Get Lit, an organization dedicated to empowering youth by asking them to claim iconic poems and perform their own spoken word responses, it’s a sensible question…and one I should be able to answer. I’ve always struggled with it. I love reading poetry; I love watching it; I like editing it; I love compling anthologies. To figure out my answer, I had to look…of all places…at what I majored in at NYU. Despite all of the musings that my major was whimsical, impractical, or downright foolish…the truth is that I’m a practicing cultural anthropologist. I have always loved people, loved their stories. First was Walter, raising himself and his siblings in Watts, the “statistic”. Then Maia, the “slacker” who couldn’t live up to her own inner expectations. Then Jessica, the “black sheep” who was ostracized by her peers and family for dating the wrong boy. Then Brian, the “loner” who faced society’s limitations on him at every possible turn. Despite their self-imposed labels, their narratives exposed how complex, fascinating, and human they were…like we all are. We are more than statistics, and The HuffPo gave me the outlet and platform to chronicle the achievements of these youth and of our organization. 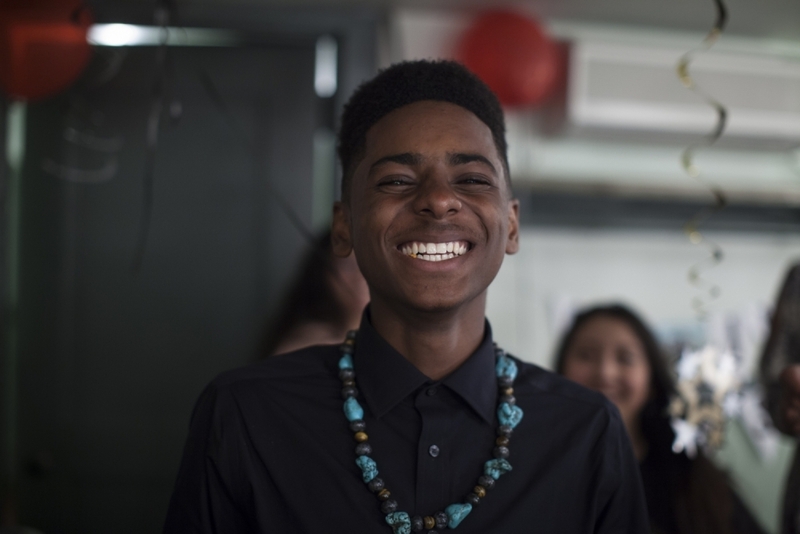 At Get Lit we overcome stereotypes: boys from Compton channel Emily Dickinson. Girls from the Valley channel Tupac. We resurrect the wisdom of the dead through engaging art, all the while raising consicouness about society’s triumphs and ills. We challenge the status quo and better understand ourselves through the cultural work we do through Get Lit. 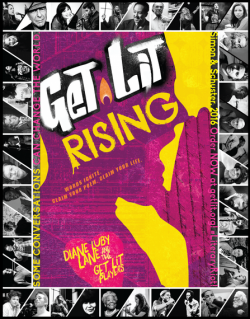 The result of this work, chronicled first on this very blog, culminates in the forthcoming anthology Get Lit Rising being published this October by Beyond Words, Simon & Schuster’s teen imprint. It chronicles the stories of struggle and redemption of 20 of our poets, along with their chosen classic poems and original response pieces. Books have had a vast, deep impact on me, and the authors and the poets who changed me helped form me like spirit guides, like friends. I had to find a way to pay them back for all they’ve given, which was to keep their words alive. It’s as if I heard them whisper, “We need a new agent,” and elected myself for the task. A long time ago, before I started Get Lit, I wrote a one-person show about literature and the profound impact it’s had on my life. I toured the play with Jimmy Santiago Baca, an incredible Chicano poet who wrote many of his great works from maximum-security prison. The diversity even within our duo was magic, and through his introduction, I began meeting a lot of high school teachers and college teachers, and we toured in jails and detention centers across California and the Southwest. I didn’t set out to spark a revolution. I was just thankful I was let into the classrooms. Week after week, the kids kept writing poetry, and we even started booking little shows. It was the strangest thing. Despite the stereotype that poetry was lame, once exposed to it audiences hungered for more. When you have something to give, especially something that feels sacred, you’re so grateful when someone takes it. People just keep taking it. For all these years, including the people who are teaching it in school, I feel such gratitude. Without our community, we would be nothing. And these classic poets are part of our community, even after they’re gone. Their truth speaks to teenagers who are going through so much but often have trouble expressing themselves. Why wouldn’t they, if they so often feel their expression disapproved of and suppressed? 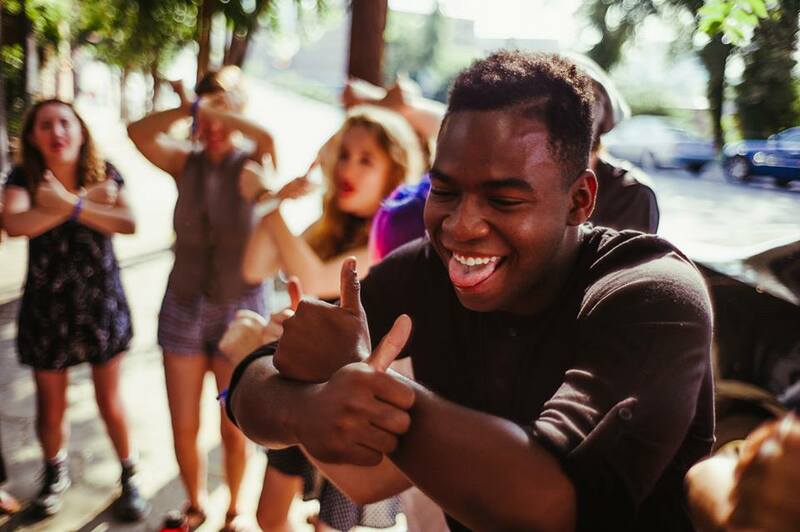 The power of authentic expression is so rare and so potent that the Get Lit Players have been asked to perform their original works at the Kennedy Center…at Lincoln Center…and even at the White House. And the great thing is that in this way, when world leaders are listening, art becomes social action. I can see very clearly a future where Get Lit is still living on in 50 years and supporting itself. I try to hold that vision in my heart and in my mind, as if to will it to happen and to work to realize it. And reflecting back on what it took to get through our first decade gives me great reassurance that anything is possible! Books hold the answers to life’s most mysterious questions. We just have to read. Pre-order Get Lit Rising, Amazon’s #1 new release in Teen & Young Adult Composition & Creative Writing, at books.simonandschuster.com/Get-Lit-Rising/.